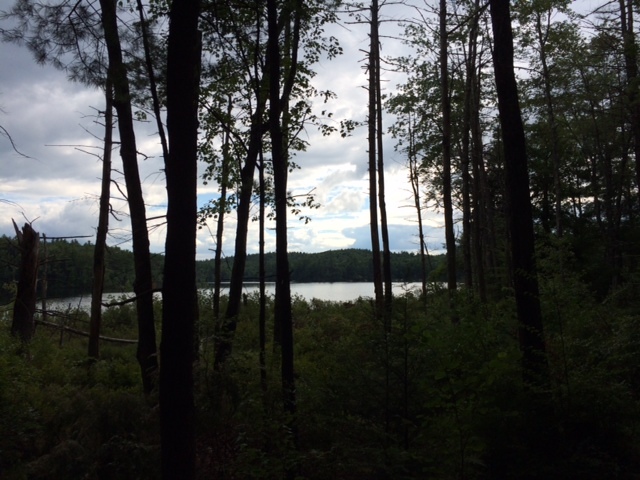 After cooking over three-quarters of the recipes in Around My French Table for French Fridays with Dorie, I’d characterize the recipes as falling into one of two camps. One would be a set of classic French recipes that are broken down into steps that make it less intimidating and very doable for a patient home cook. These have expanded my cooking horizons into uncharted territory. The other category are super simple recipes that delicious and serve as a launching off point for a multitude of variations for the creative cook. This week’s recipe for Piperade Stir-Fry falls into the second category. This quick side dish goes with anything and takes little effort to put together. 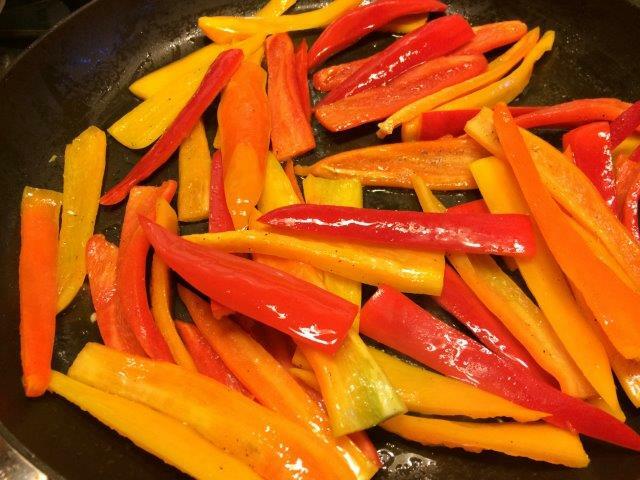 Strips of multi-colored bell peppers are stir-fried. 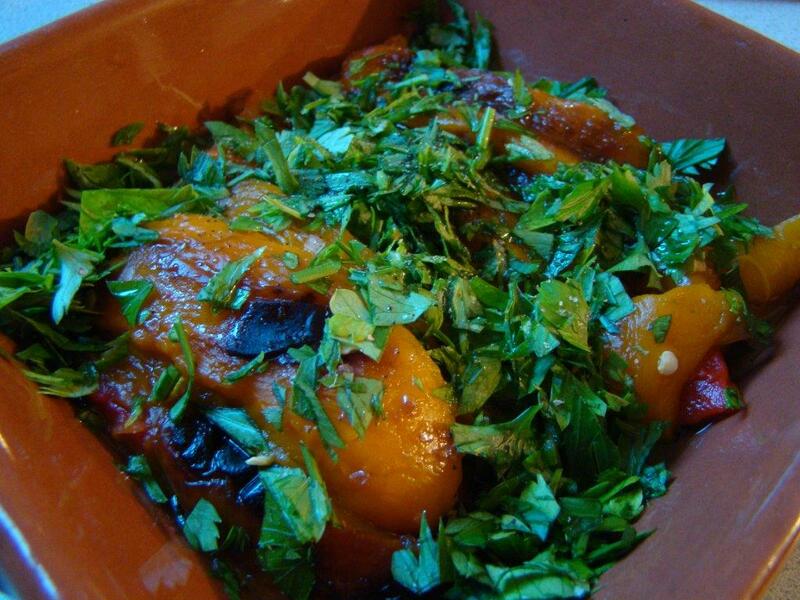 The flavor is boosted by adding vinegar which caramelizes as it boils away. Finally, a handful of slivered red onion, a dab of minced garlic, and a sprinkle of red pepper flakes and Voila! I loved the vibrant colors and the tangy undertone of the vinegar. I used red wine vinegar, but this would be amazing with balsamic vinegar. 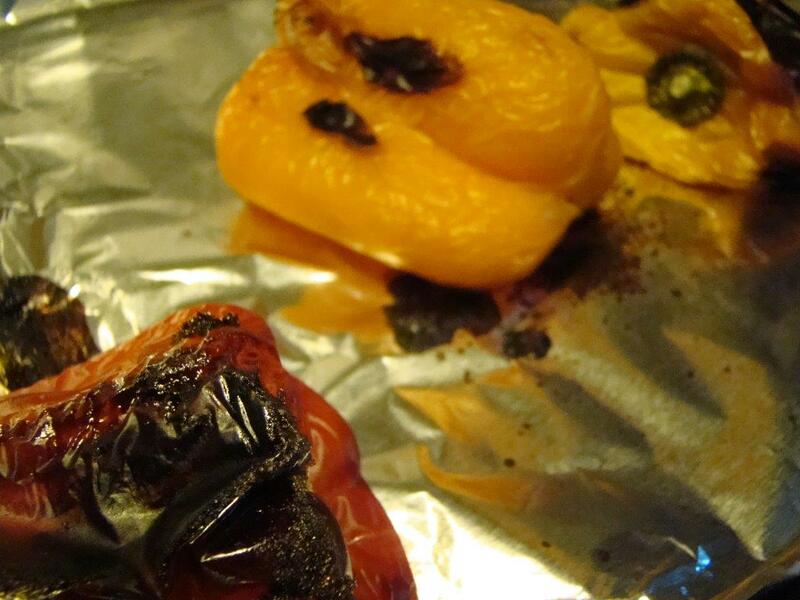 I served the peppers with roasted chicken, but it would be just as good with steak or fish. 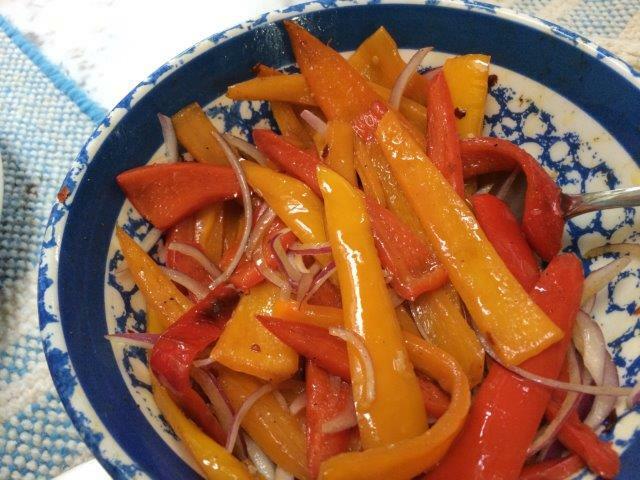 The piperade stir-fry would also complement olives and other nibbles on an appetizer platter. I look forward to adding vinegar to other vegetables as the summer progresses. I’m thinking sugar snap peas, green beans, carrots, and other firm vegetables. 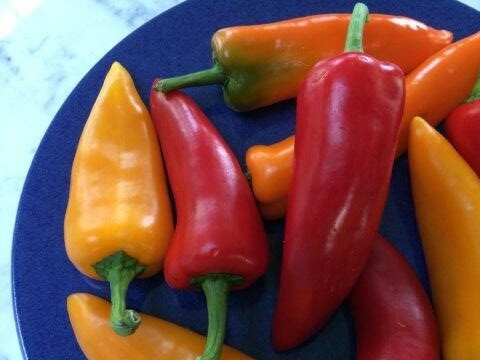 To see what my Dorista friends thought of their peppers, check out their links here. This one hardly needs a recipe, but you can find it in Dorie Greenspan’s book Around My French Table.